Happy New Year from the MyFigueroa team! We've been hard at work so far in 2017, and construction will be starting on the north side of 11th Street in early February. This work will include sidewalk widening, new curbs and gutters, improved traffic signals, and the continued installation and refurbishment of street lighting and tree removals. 11th Street will be reduced to a single west-bound lane during this time. 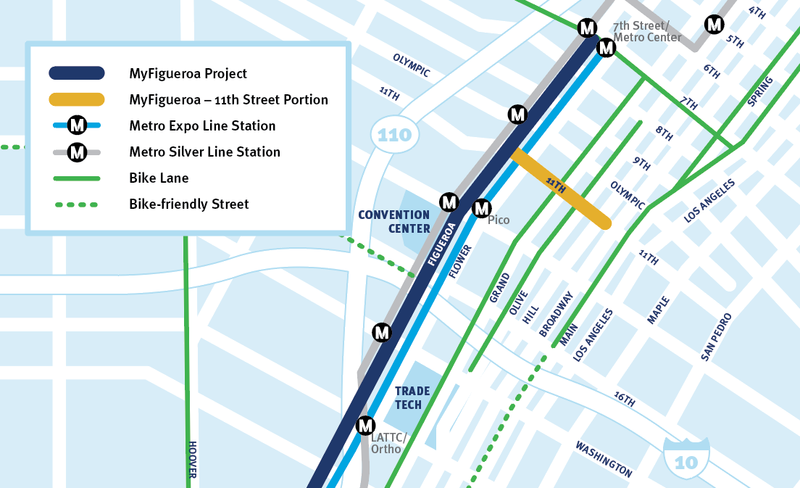 We also expect to begin construction on Figueroa itself by early March, as we are currently reviewing and finalizing the complex traffic control plans that will allow traffic flow to continue as we build the main portion of MyFig. Stay tuned for more details about the construction schedule coming later in February. For questions or concerns during construction, contact us!